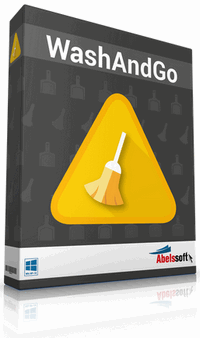 WashAndGo is a virtual scrubbing brush for your PC. Our award-winning application provides an easy means of cleaning your whole system. 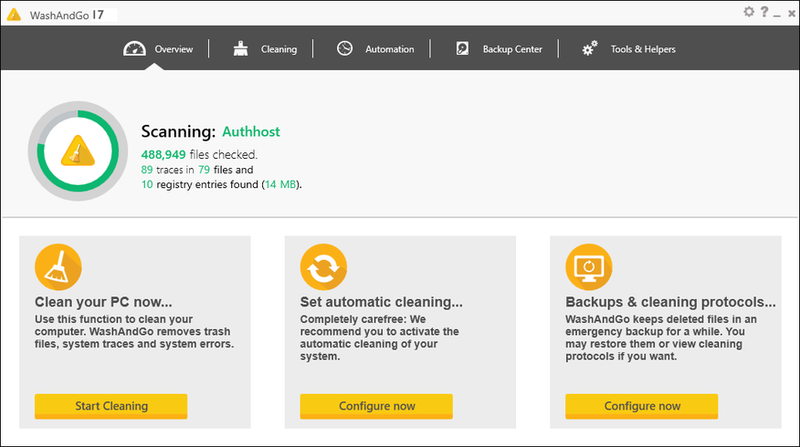 WashAndGo removes garbage files within seconds and helps you to keep a clean and fast Windows system. Optimizing your PC couldn't be easier. WashAndGo removes unnecessary garbage files better than before. The program cleans your system and increases your performance significantly. The following garbage types are detected by WashAndGo: Unnecessary garbage files, Old log and dump files, Content of temp folders, prefetch files and unnecessary setup cache files, Unused backup files from service pack installations and Content of your own temp folders and may more. This tool analyzes your harddisks and shows you exactly, which files and folders occupy most of your space. Size: 25,07 / 30,18 MB.